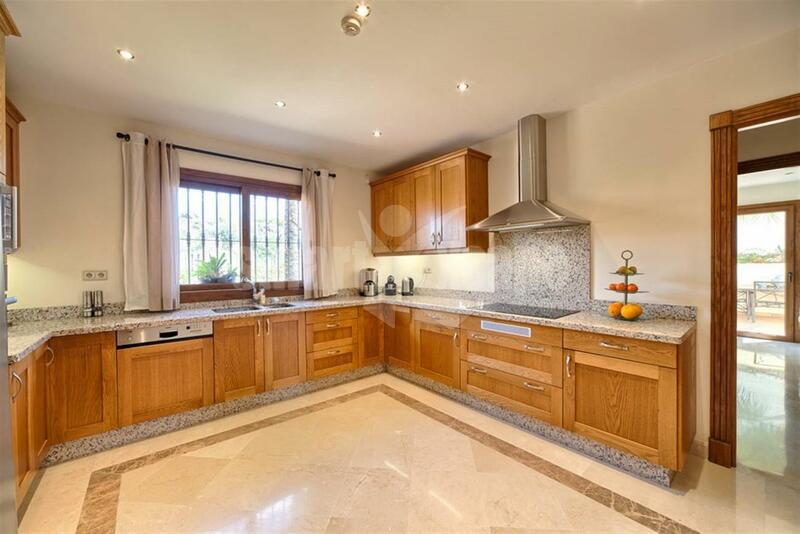 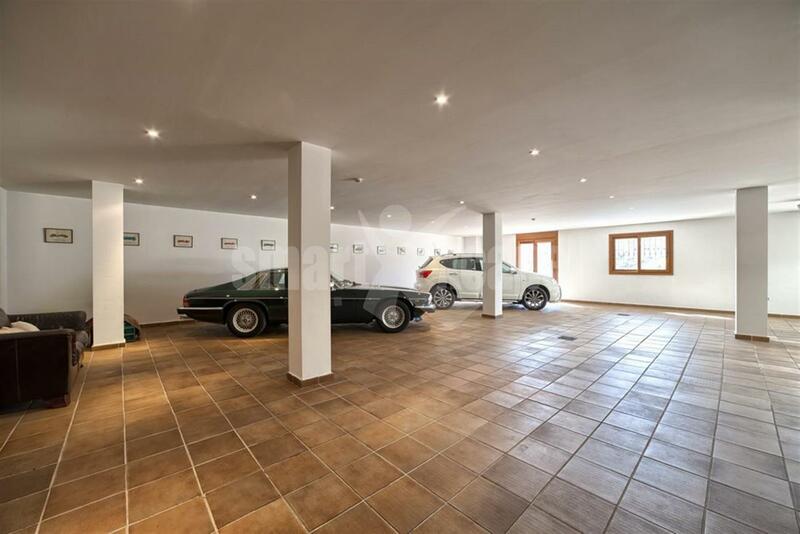 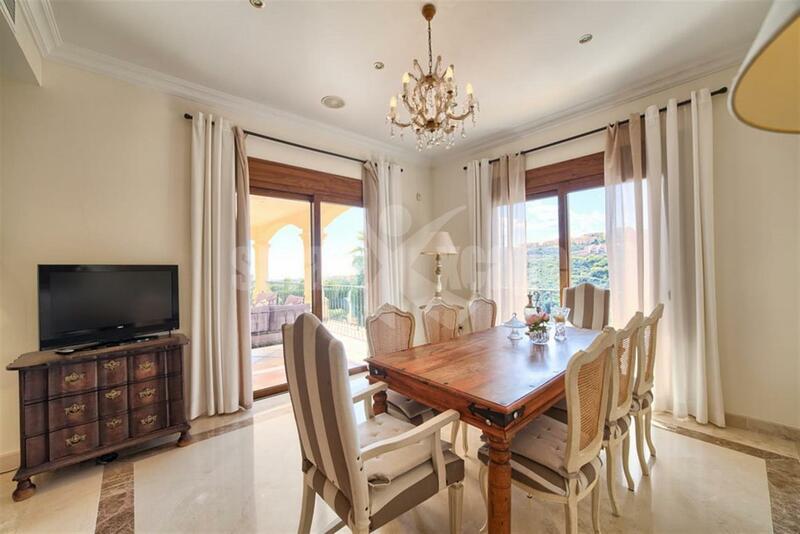 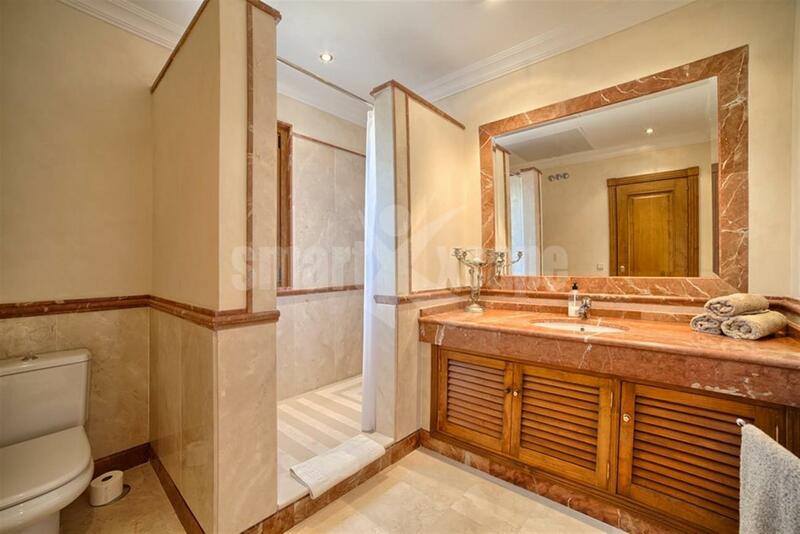 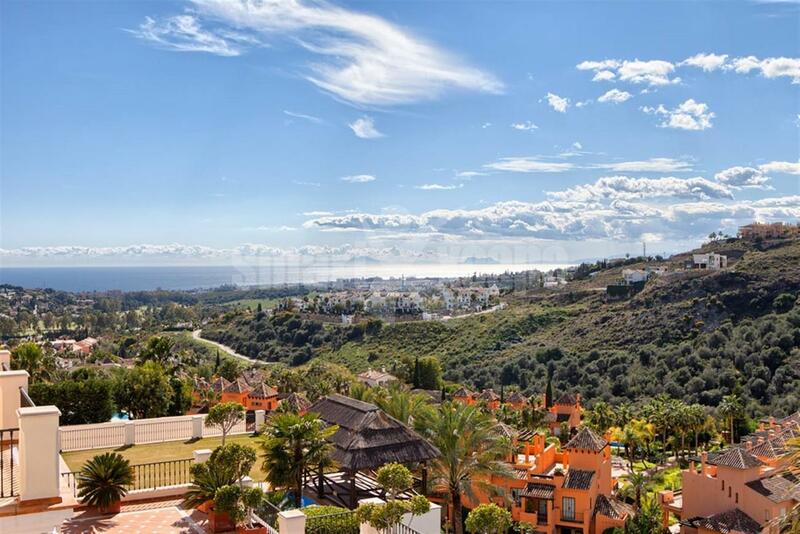 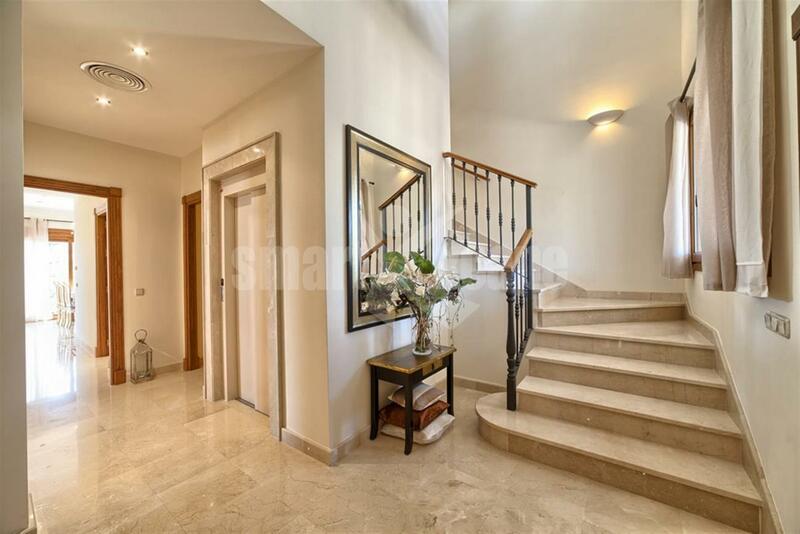 Southwest facing villa close to golf in Benahavis. 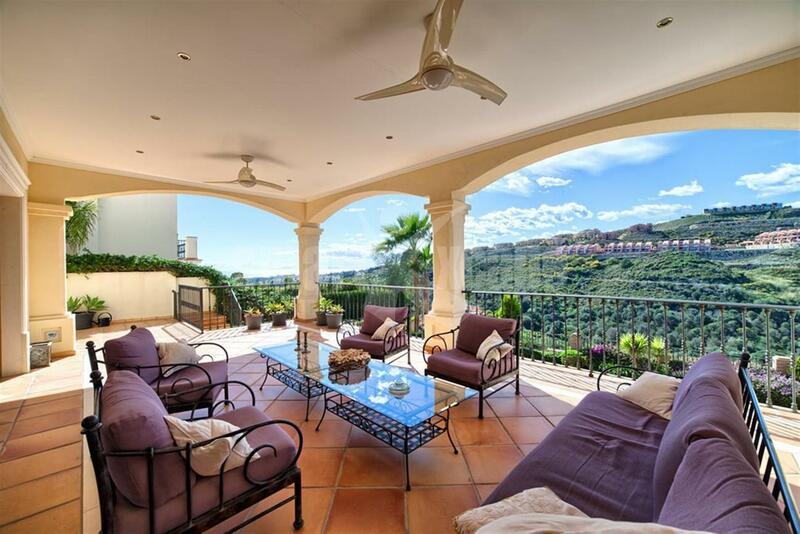 This stunning villa offers panoramic sea and mountain views and is located in La Alqueria. 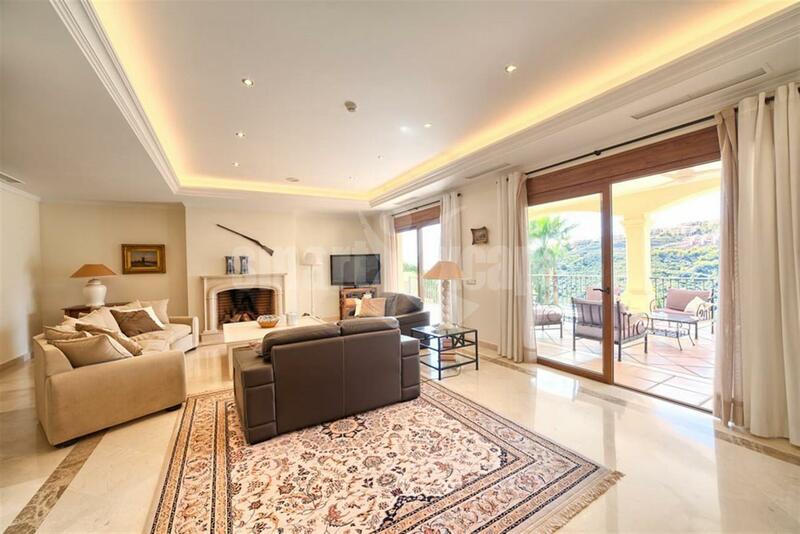 The main features include a magnificent private garden with swimming pool, air conditioning hot/ cold, marble floors, under floor heating in bathrooms, fully fitted kitchen, elevator, barbecue area, fireplace, garage for 5 cars, storage and there is a possibility to extend the garden with about 300 m².